The ninth FREMM frigate has been named after Spartaco Schergat, an Italian military frogman during World War II. Italian FREMM Frigate Spartaco Schergat ©OCCAR. Mrs. Anna Rosa Aonzo Grillo, daughter of Giuseppe Aonzo, a recipient of the Gold Medal of Military Valour during World War I, was the Godmother of the ceremony. The Schergat frigate was launched with combat systems and platform equipment installed and integrated on board. 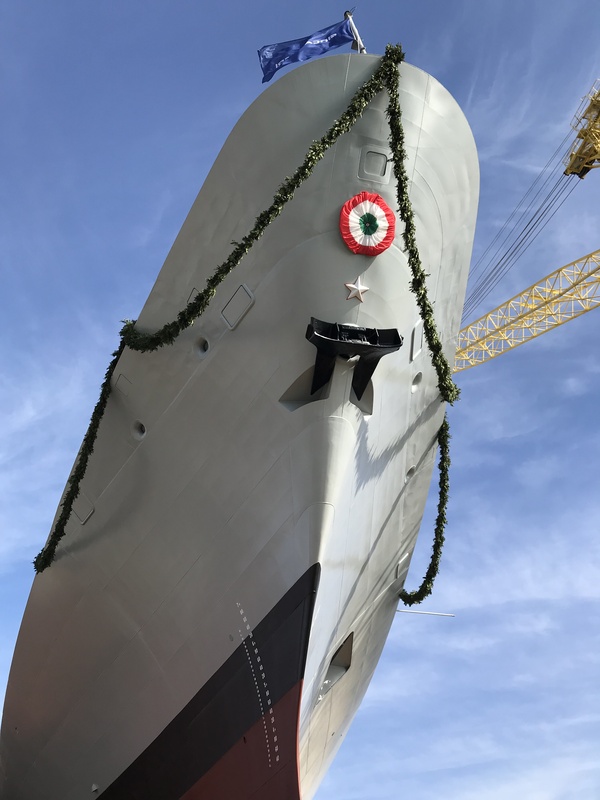 She will now be moved to the Fincantieri’s shipyard in Muggiano (La Spezia), from where she will undergo her first sea going in June. 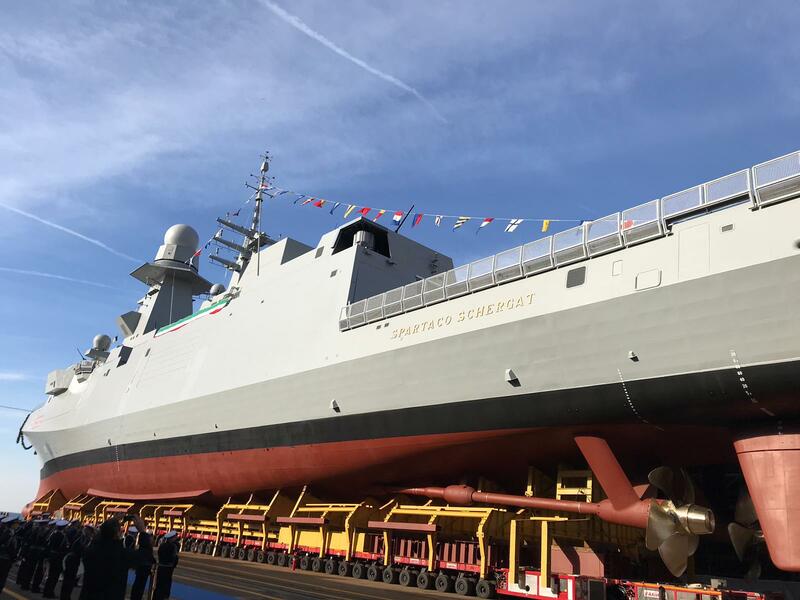 The ship will be delivered to Italian Navy in early 2020, after the completion of outfitting activities. The launching of Schergat, a General Purpose version of the FREMM frigate, was conducted in accordance with scheduled timescales and represents another major success of OCCAR’s programme management, proving its ability to overcome technical, design and construction challenges, in tandem with the positive involvement of the French and Italian Naval Directorates.